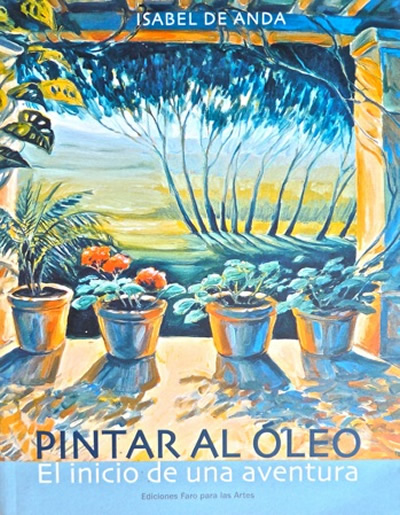 In the year 2002, with the purpose of filling a need for the Chair, the book Pintar al Oleo is published, the beginning of an adventure. Then the author held the title of the Chair of Oil Painting at the ISBA and also at Faro for the Arts. Existing texts were foreign and handled unusual terms, as well as materials that were not available in the medium. The painter tries to clarify concepts in a simple way, make the task of painting easy, clarify the difficulties of the painter's trade. The Prologue was in charge of Professor Osvaldo González Real, Vice Minister of Culture of the Nation. Since 2003 the book has been the text of the Oil Painting Workshop of the First Course at the Superior Institute of Fine Arts, and has been delivered free of charge to students. 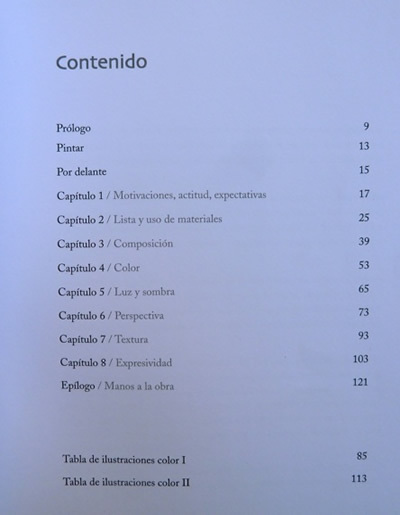 The new classes that are sent over the internet are also based on the order developed in the chapters of the book, so that it continues to be support material.